The most expensive software you will ever purchase is the software that no one uses. 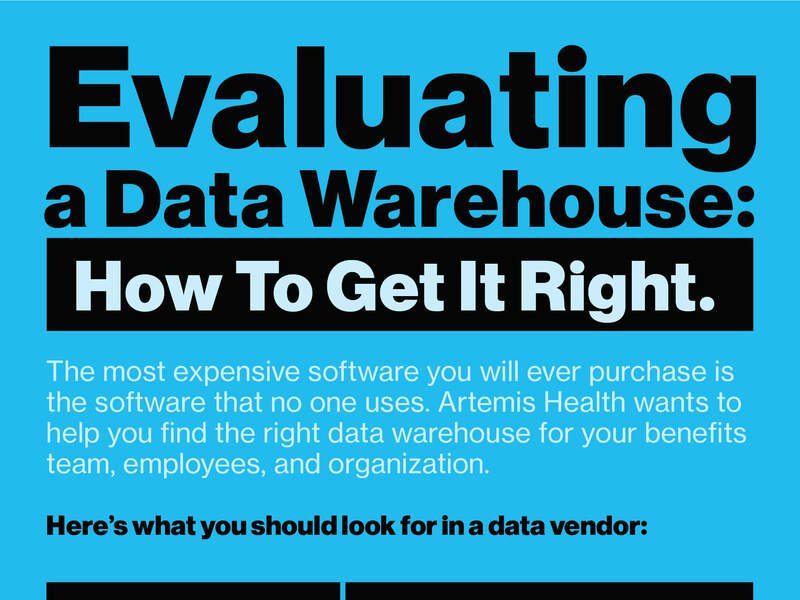 Artemis Health wants to help you find the right data warehouse for your benefits team, employees, and organization. We know this process is long and time-consuming, and you don't have time to waste. That's why we created this helpful infographic to help you determine what you should look for in a data vendor. Download it now to get insider tips and tricks for choosing a flexible, 21st century data vendor.